1.) 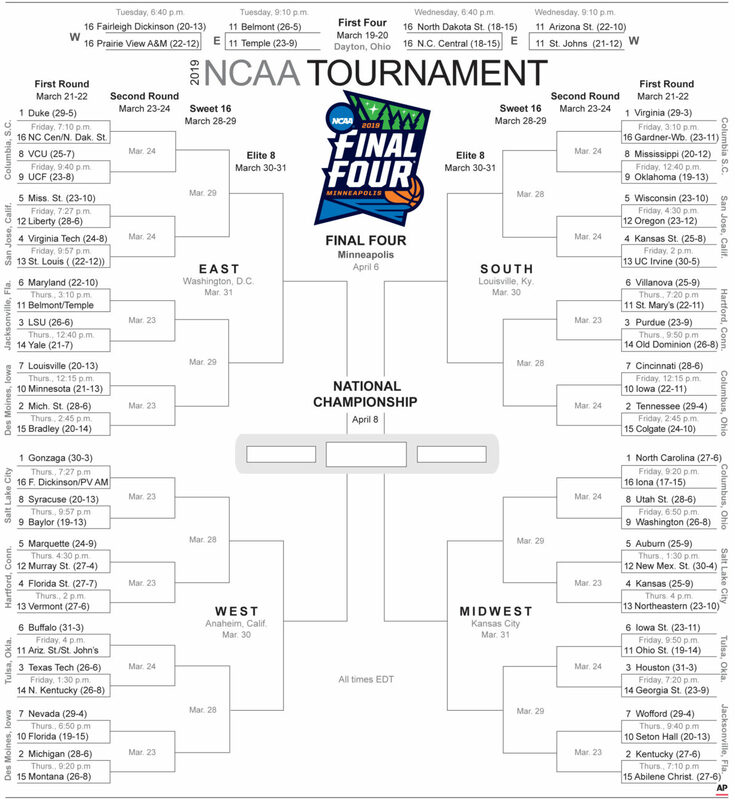 The bracket line where you are most likely to find upsets. 2.) Identifying teams vulnerable to a round of 64 upset via the line. 3.) Identifying teams vulnerable to a round of 64 upset via the stats. 4.) Absent a compelling belief based on matchups, there is no reason to pick any team seeded lower than 12 to win in the round of 64. 5.) Where to find round of 32 upsets. 6.) Three coaches of whom to be wary. Virginia’s Tony Bennett has led the Cavaliers to six prior NCAA Tournaments — including three times as a No. 1 seed, once as a No. 2 — yet is a pedestrian 7-6 at UVa. in the Dance. 7.) Finding your Final Four. 8). No. 1 seeds cut down the nets. 10.) The (school) color of a champion. And the one exception — a team that wears red and black and plays its home games 74.1 miles west of where these words were written — subsequently vacated its title due to NCAA rules infractions. Of the eight teams identified via the Pomeroy Ratings as most likely to win it all (see above) this season, six — Virginia, Gonzaga, Duke, North Carolina, Michigan and Kentucky — have blue in their school colors.